NSWV pumps are designed to handle wastewater and other non-corrosive liquids with soft solids in suspension. Single stage – enclosed non-clog type impeller for pumping wastewater and other non-corrosive liquids with soft solids. 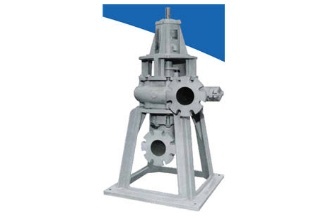 NSWV pumps are designed to handle wastewater and other non-corrosive liquids with soft solids in suspension. Typical applications are municipal water and wastewater, industrial wastewater treatment and food processing. With thousands of NS dry pit pumps in operation worldwide and as the industry leader in service and support with the over 120 years of expertise, we’ve got the flexibility to design to your needs. If it can be done, we will do it.